According to a study conducted by the University of Maryland's College of Medicine, women speak roughly 20,000 words every day. That's nearly three times the amount as men, who only spoke an average of 7,000 words per day. 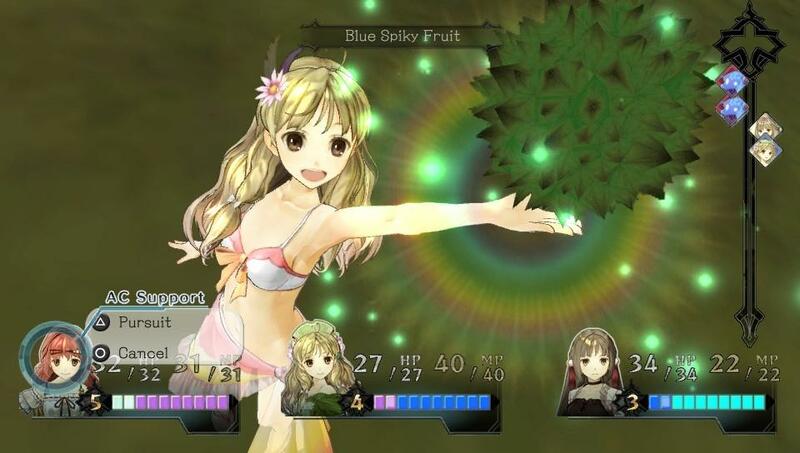 I don't know about the real world, but this study certainly holds water in Atelier Ayesha Plus: The Alchemist of Dusk. Light on action, this female-led role-playing game features a likeable cast of attractive characters who spend most of the adventure talking. This is not my first time crafting complicated spells. Last year, I reviewed Atelier Rorona Plus: The Alchemist of Arland, which I found to be simultaneously delightful and shallow. It was a charming adventure with a unique time gimmick and tons of items to craft, but was held back by the limited combat mechanics. 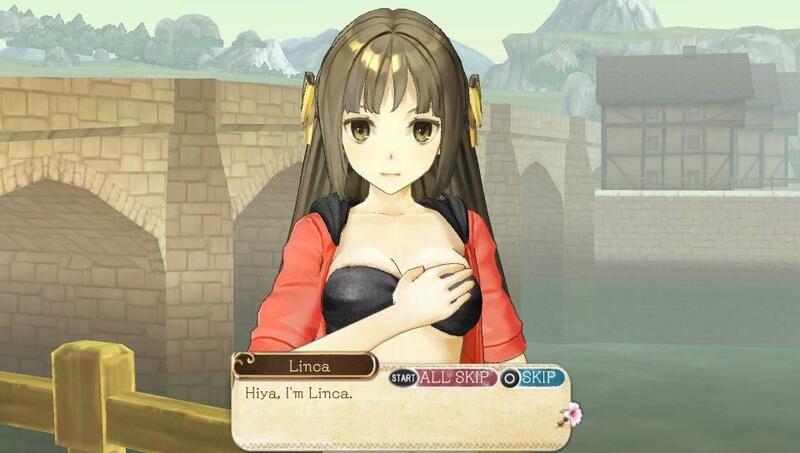 This is precisely how I would describe Gust's newest entry in the long-running series, only this time around I never quite warmed up to the cast of characters. As the title suggests, you take control of Ayesha Altugle, a young girl who spends her days crafting medicine for the local townspeople. Despite her altruistic deeds, Ayesha feels empty after the passing of her grandmother. To make matters worse, her younger sister, Nio, has gone missing and everybody fears the worst. But just as all hope seems lost; our spunky hero discovers a clue that sends her on an epic journey far away from the tiny little village. As unlikely as it sounds, Ayesha comes face-to-face with what appears to be the ghost of Nio. This renews her resolve to crack the mystery and save her missing sister. But if our hero plans on doing any of this, she'll first need to develop her crafting skills and work towards becoming a proper alchemist. And with only three years to tackle this life-changing mission, there's not a single moment to spare. 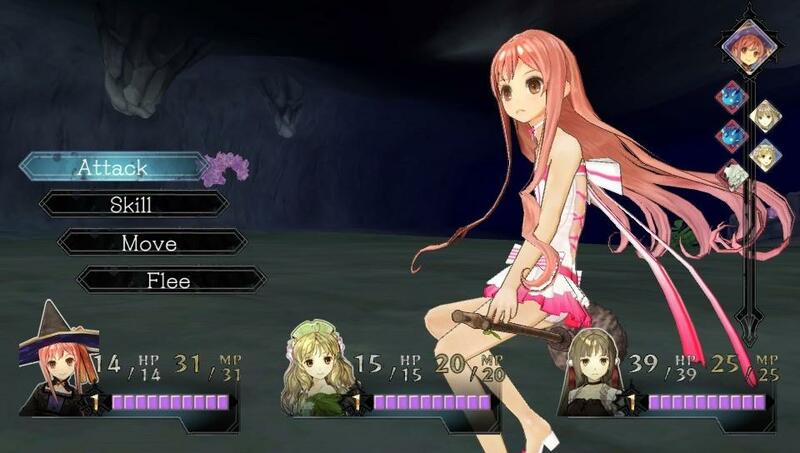 Similar to Atelier Rorona, Ayesha's quest involves light turn-based combat and a whole lot of gathering items for crafting purposes. The world is laid out like a board game, with a small dot representing an action stage full of enemies and treasure. Thankfully, our hero doesn't need to fight through every stage along the path. She can either explore the different stages or skip right past it, moving towards her next objective. Although there are only a few locations to visit at the start, the map quickly opens up and players will have a chance to explore and collect in a wide variety of fantasy locations. Digging around these different locations will uncover new paths to traverse, which come with harder enemies and more valuable rewards. And since many of these locations are tied to quests, you'll want to thoroughly explore every inch of the map. Much like the past installments, it's the odd time mechanic that sets Atelier Ayesha apart from the typical role-playing game. Three years may sound like a long time, but our hero quickly discovers that there are not enough hours in the day to get everything done. Simple things like crafting and traveling will eat away at the clock, but it's the only way to gather up the items needed to complete the assignment on time. The various quests can come in all shapes and sizes, but the typical assignment will see Ayesha creating a number of bombs, healing items or cups of soup. What is needed will change as time rolls on, but it's usually something that requires the player to adventure out into the wild landscape and gather materials. But don't get too comfortable picking up sticks and berries, because there are all sorts of mean animals and monsters lurking about. When confronted, players take part in a fairly straight-forward sequence featuring the always reliable turn-based combat. Ayesha can take two friends into battle with her, each with their own weapons and skills. To the game's credit, the developers have attempted to add a few elements to make the repetitive battles a little more interesting. For example, players can now team-up to deliver a powerful one-two punch. While this doesn't change the core mechanics much, it is an interesting wrinkle. Too bad the rest of the combat is so pedestrian. On top of worrying about completing the main assignment, players will also work towards solving a bunch of optional quests. These tasks can be as simple as fighting a certain amount of enemies or as complicated as crafting a rare item with very specific attributes. While there are always a few tough tasks, most can be completed over the course of concluding the main assignment. Completing these missions will reward players with points that can be used to complete other missions. No, that doesn't make much more sense when explained by the game. This is a problem that persists throughout the lengthy adventure. For a game with such simple combat mechanics, the rest of the experience can be a little confusing at first. This is not helped by the pop-up tutorials, which frontloads the player with so much information that most of it will be forgotten by the time it's relevant. Ayesha will eventually get her act together, but chances are she'll lose valuable time trying to figure out the nuance of this PS Vita game. You might think that some of this valuable information might be conveyed through the game's numerous cinemas, each consisting of endless conversations between anime characters. Sadly, that is not the case. Instead the cast spends way too long talking about simple thoughts and making boneheaded observations. It doesn't help that Ayesha's cutesy voice sends me scurrying for headache relief. As annoying as I find some of the cast, I am impressed with their designs. In fact, I liked the look of the world. The game employs cel-shading to mimic a traditional Japanese anime, an effect that really shines on the PS Vita's small screen. 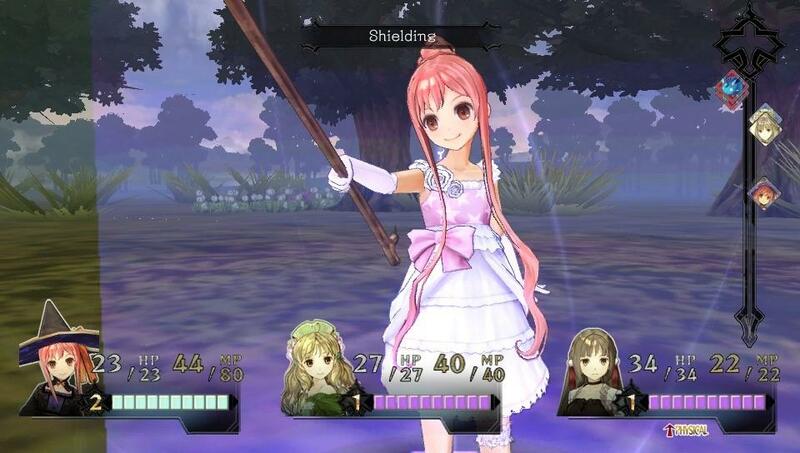 If it wasn't for some of the character choices, I would be raving about Atelier Ayesha's presentation. Although the set-up is certainly intriguing, I found myself constantly disappointed by the game's story beats. The main quest doesn't build excitement the way it should, and often I felt disconnected from my main goal. That said, I still had a lot of fun collecting materials and crafting rare items. For all the mistakes this series makes, there's something oddly satisfying about the experience. I'm sure there's an audience that connects with Ayesha and hangs on her every word. I found myself yearning for a more exciting story that made better use out of a mostly interesting cast of characters. 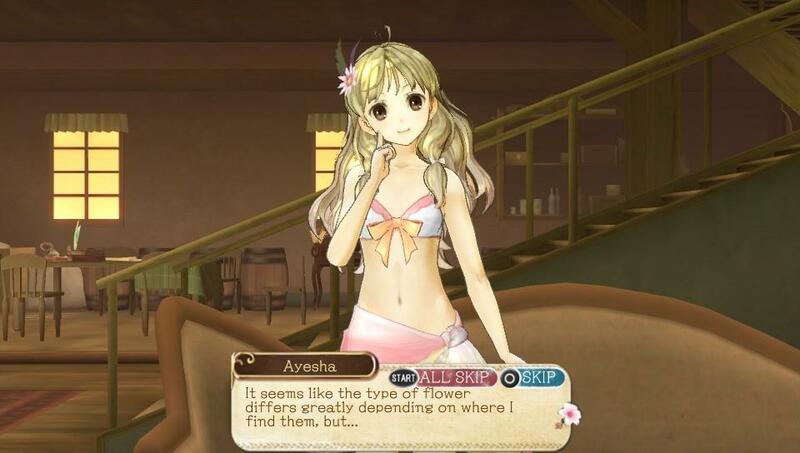 There's clearly a lot of work that when into Atelier Ayesha Plus: The Alchemist of Dusk and gamers who can overlook the imperfections will find dozens of hours of gameplay. I'll stick with Rorona for my crafting needs. An interesting premise and unique time mechanic is marred by an aimless story that spends too much time in cinemas. To make matters worse, the cutesy voice acting ranges from annoying to unbearable. 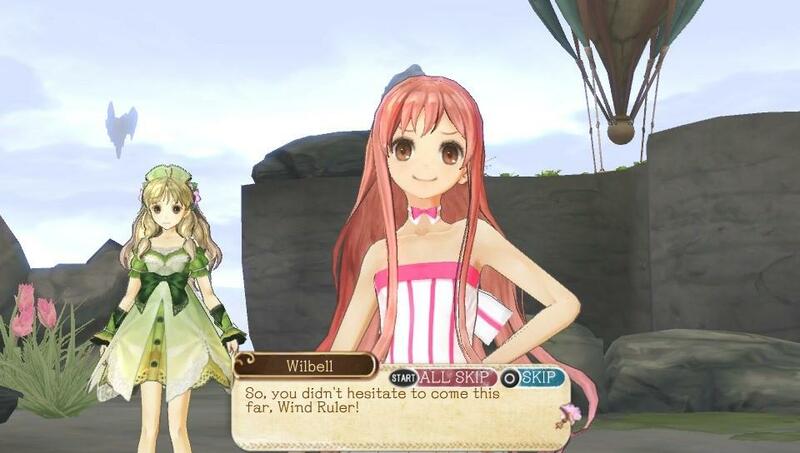 Atelier Ayesha Plus: The Alchemist of Dusk looks good and has a great crafting system, but it pales in comparison to Atelier Rorona.